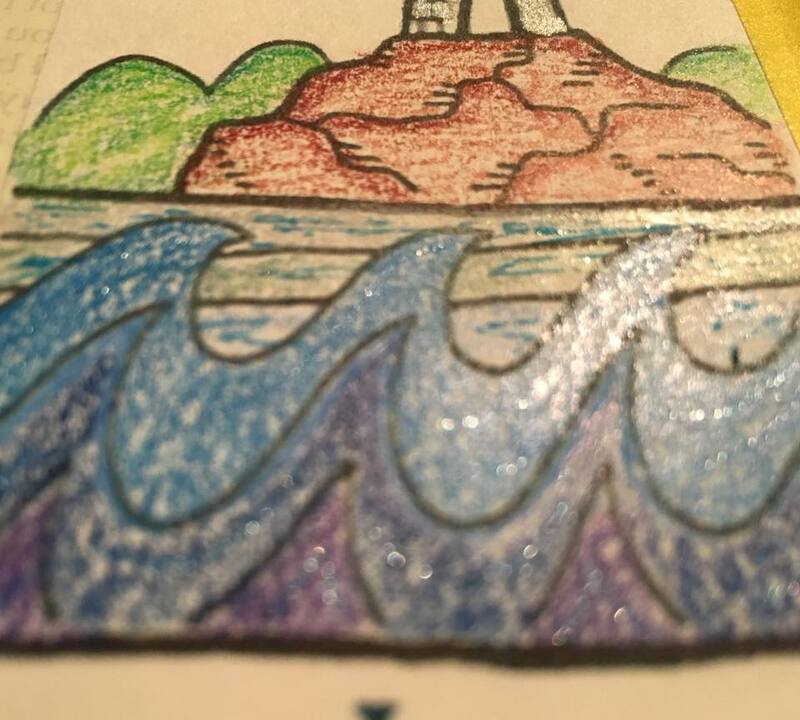 THOUGHTS: Lighthouses are unique buildings that have one purpose… to protect people from hitting ground/rocks off the shore of oceans. 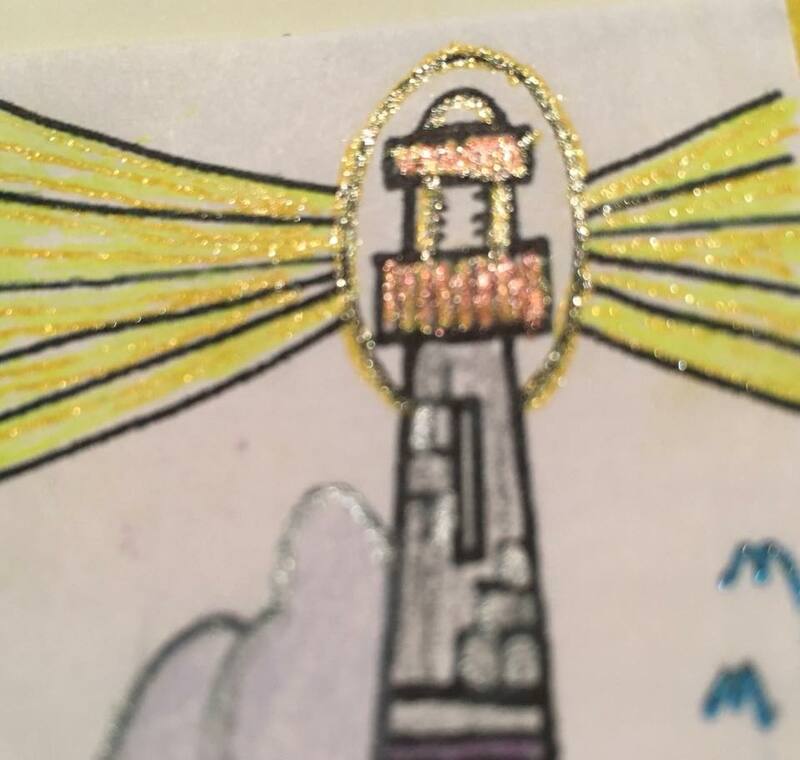 CALL TO ACTION: As you work on this week’s Tip-In Project, please consider what lighthouses represent in your life? 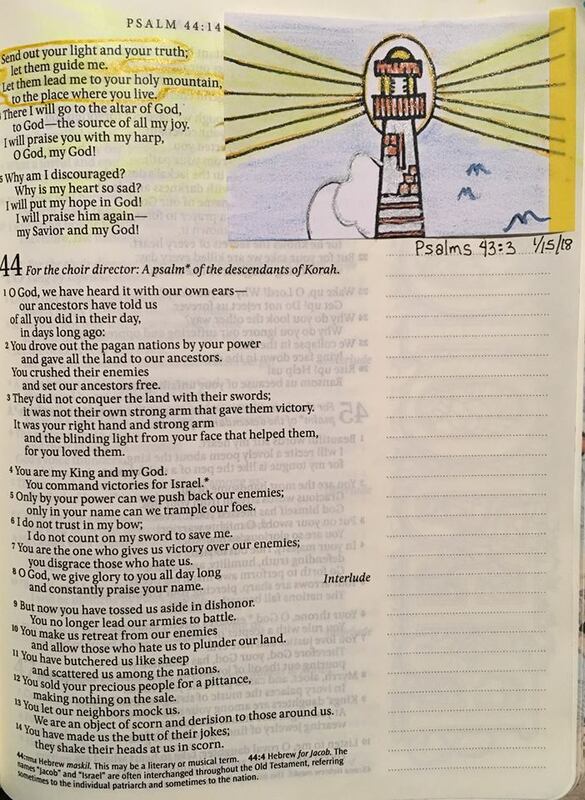 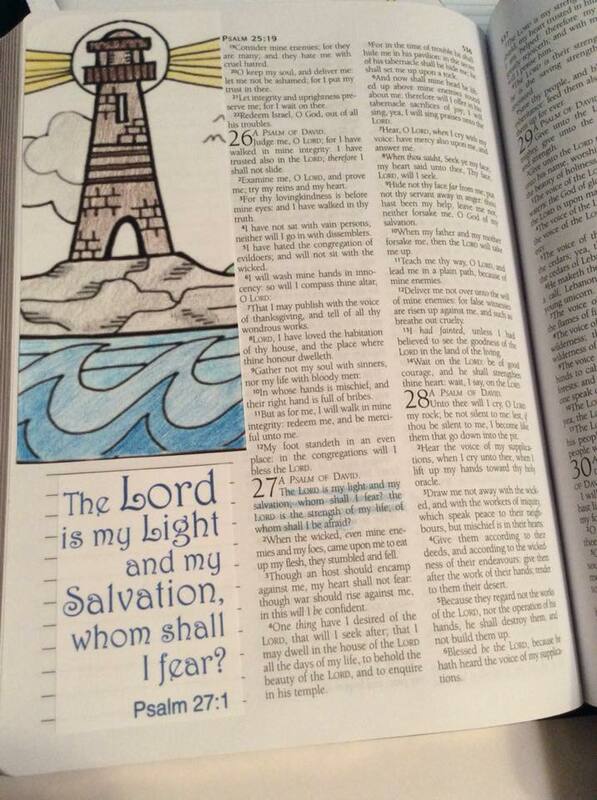 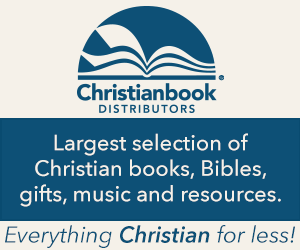 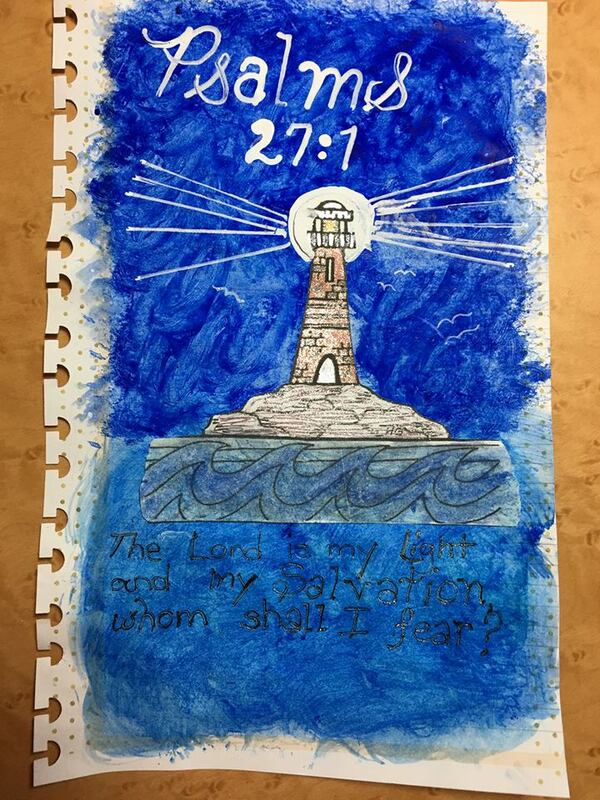 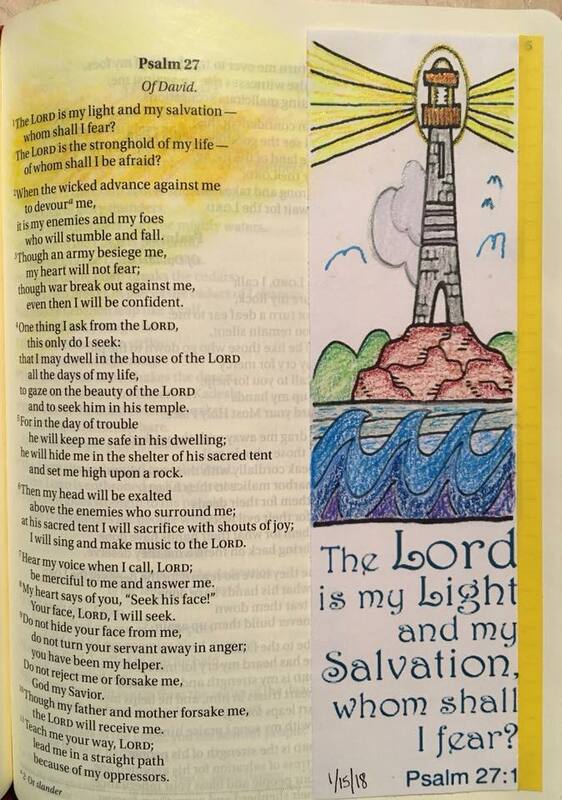 Psalms 27:1 Tip-In Project “Lighthouses Print, color, cut, tape the margin artwork. 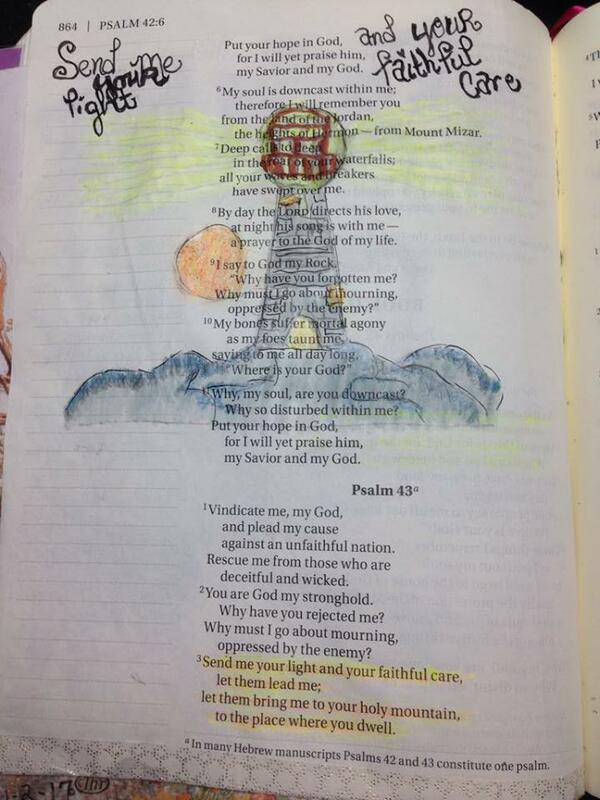 Highlight the verse. 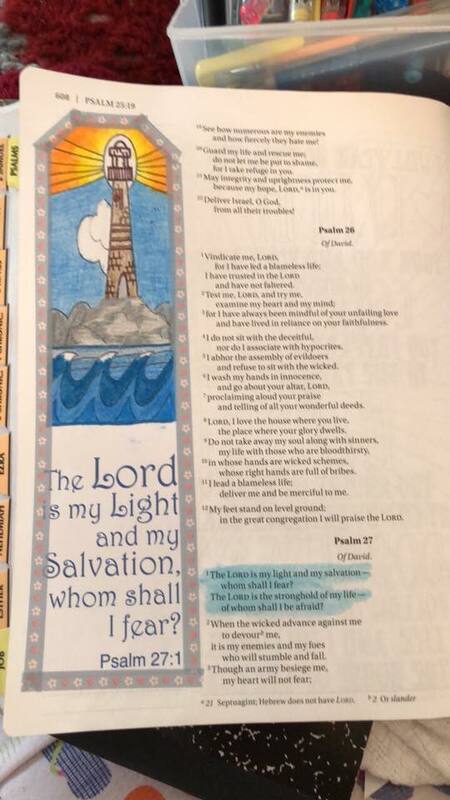 Print, color, cut, tape the artwork. 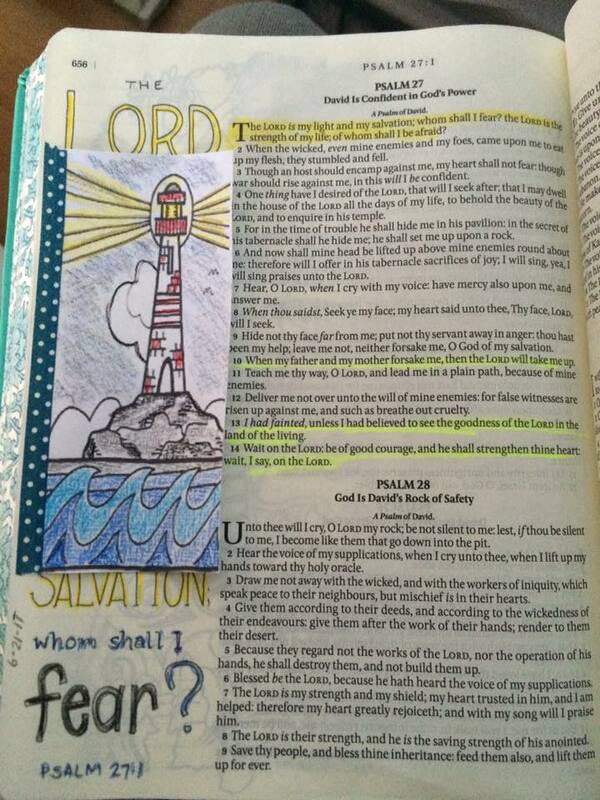 Highlight the verse. 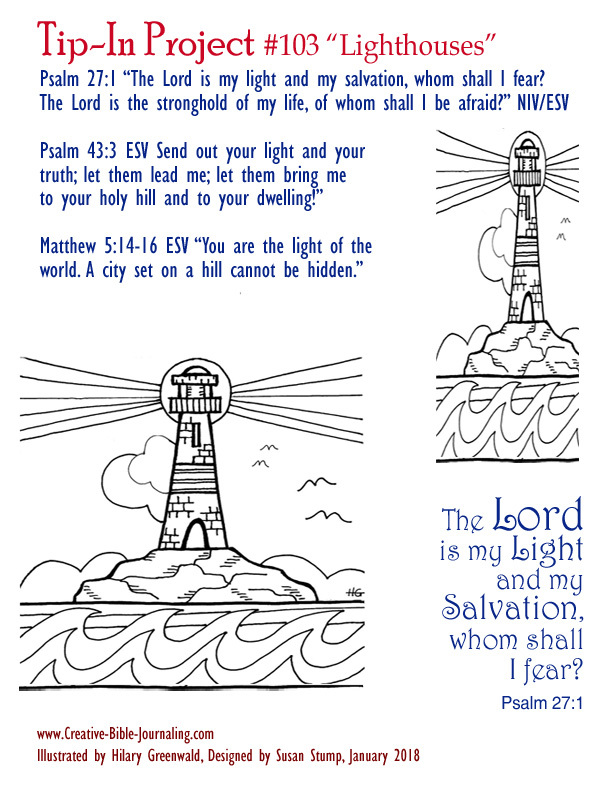 Because of the page layout, I decided to crop the lighthouse and extended the Left Light beams towards the type.